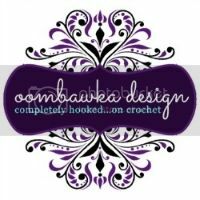 My free patterns and tutorials are created by yours truly. Even it's a labor of love, I spent hours to get them on here so all I ask for is your respect for my work. Please do not repost, republish or sell the contents, patterns and photos of this site as your own. You are welcome to use my photos as long as you link back to my original posts. The items you made from my patterns or tutorials are yours. You can sell them (no mass production) but I ask that you use your own pictures and credit a link back to my site. Feel free to share your projects at my FB fanpage as it's also a good way to promote if you sell the items. There's a translate gadget on top left of every page for you to read a pattern in your native language ( Hope it's helpful :) and there's also a print friendly pdf green-button at the bottom of every page so you can download a pdf pattern for personal use only (no online sharing of any type as a way of republishing). Hey there! I just wanted to say thank you! I am Very happy when I can find Free Crochet Patterns that are Cute! I Love your monkey man! SO Cute! :) It is very nice to find patterns that I don't have to Purchase :) Thank you again! Love your angry birds.... R you going to be making a pink bird? Oh I don't see any pink bird in the space version. Do you know the name? She is SO Cute! :) Hope this helps! I love that hat pattern and your animal patterns. You are very talented. Thank you very much. Thank you so very much for sharing your adorable patterns. I am looking forward to making some of these. Lovely projects, hope to do some of the angry birds for my 11 and 9 year old cousins. The boys will love them, Thank you for sharing. Thanks Rhondda :) I'm happy to know many fellow crafters here.